I opened the book and she’d written the sweetest message in it. interesting, a faint playback of serendipity in my mind. I say Congratulations and feel sorry to hear that. Congratulations on finding an amazing friend. Sorry to hear you can’t continue to meet. p.s. Could I have ur phone number? If this is possible, eh! 🙂 let me know! Very sweet and the saga continues. Some of the best gifts I’ve ever gotten have been books, and thank you for reminding me of that. What a sweet story! @Nikhil: sorry, I can’t use my email!! 😦 if you want, I leave my number on my blog, and after that you have read it, I’ll delete it! 🙂 I got a book from a dear friend too…one of the most lovely books i ever got my hands on! am so tempted to write a review of it…but i don wanna degrade the book and author’s talent thru my words! its beyond any description 😀 😀 i still am sad it got over!! YEah!!! The best thing in life is surprises.. and the lovliest thing about life is when you have people around who surprises you very often!! and is this ur birthday gift buddy!!!! ANd i liked what u wrote back for ur friend!!! Well at times, it’s very true that there are people who just come into our life, you actually dont need days and hours of nourishment!! it just happens as natural as falling in love…. The best gift to receive is always a book!! Is this the same winnie the pooh you wanted to buy that day?? And you’re not active on Youth Unite anymore !! Too bad !! @Su this is too bad!!! we too want to know what u r saying! No commenting in regional languages!! Humph! @Nikhil: I CAN’T USE EMAIL, CAUSE I WRITE WITH THE MOBILE PHONE!! 😦 so, I can’t give a look to receveid email and I can’t send email. That’s sad, I know it! lol i finished reading and even wrote a review in my blog and u told me to read Satanic verses,idiot! remember what u read man! will you forget if i had written a post on some girl? By the way, how is the book? I was thinking of buying it. Thats so sweet of your friend. enjoy the book. @Nikhil: why don’t you send a message to my number?? How did u find da book ?? 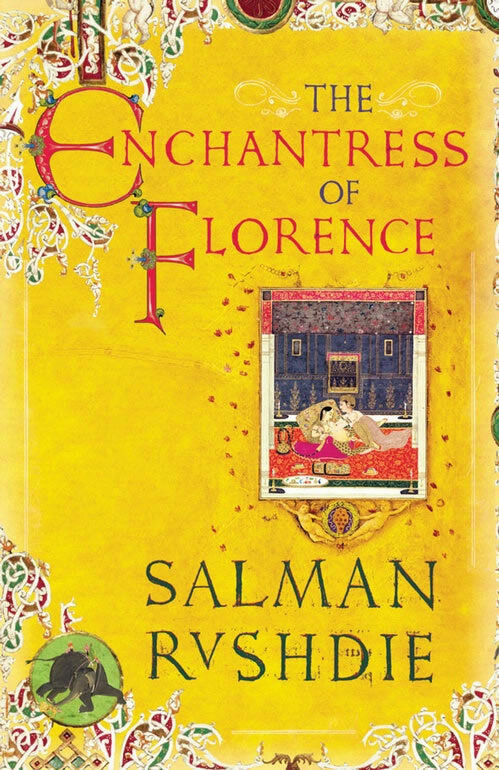 I haven’t read any of Salman Rushdie’s books yet..
Yeah, isn’t it such a sweet gesture? The book’s great! 😀 You should definitely pick it up! No, I didn’t. Check the number… I’ll write it again on the same page of my blog, ok? Plz write a review on that book……..
Oh my god (Janice style) ! I hope you get to meet her soon !!! Don’t worry man! I’m sure you do!